Good morning! While most of you in America are fretting over Tax Day, here in Massachusetts we’re celebrating Patriots Day, commemorating the 1775 Battles of Lexington and Concord that kicked off the American Revolution. It’s a state holiday, and the Boston Marathon is held every year on this date, with the Red Sox playing their traditional 11:00am game. 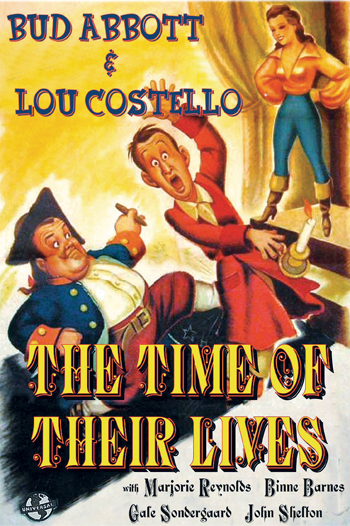 It’s been a tradition on this blog (well, since last year, anyway ) to feature Revolutionary War-themed films, and today we’ll take a look at THE TIME OF THEIR LIVES, an Abbott & Costello comedy that’s one of the duo’s best. 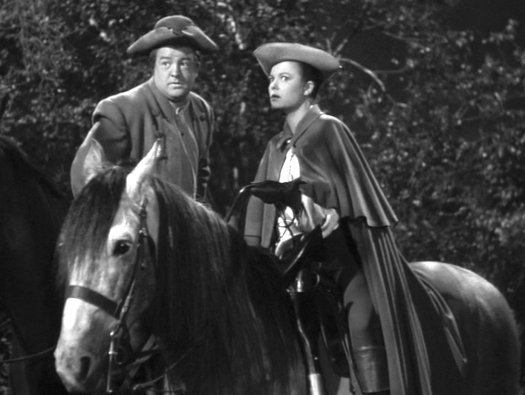 This entry was posted in Film, Film Review and tagged Abbott & Costello, Bud Abbott, Cracked Rear Viewer, Gale Sondergaard, Gary Loggins, Lou Costello, Marjorie Reynolds, Patriot's Day, The Time of Their Lives, Through the Shattered Lens, Universal Pictures. Bookmark the permalink.